Malak at your service. Let the cleaning begin!Malak at your service. Let the cleaning begin!Malak at your service. Let the cleaning begin!Malak at your service. Let the cleaning begin! 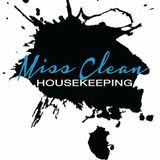 Looking for a hardworking loving housekeeper around my family!Looking for a hardworking loving housekeeper around my family!Looking for a hardworking loving housekeeper around my family!Looking for a hardworking loving housekeeper around my family! We are in need of a housekeeper who will clean, cook, and do laundry and ironing. Some errands in town may be required.We are in need of a housekeeper who will clean, cook, and do laundry and ironing. Some errands in town may be required.We are in need of a housekeeper who will clean, cook, and do laundry and ironing. Some errands in town may be required. housekeeper wanted for 2bdrm2bath home in Watsonville ca. References.housekeeper wanted for 2bdrm2bath home in Watsonville ca. References.housekeeper wanted for 2bdrm2bath home in Watsonville ca. References.housekeeper wanted for 2bdrm2bath home in Watsonville ca. References. Housekeeper.com’s housekeeping jobs service is the most reliable source for finding a housekeeper, maid, or cleaning lady job in Watsonville. This is the most trusted, complete and easy to use database of Watsonville housekeeper jobs. Whether you’re looking for a residential, commercial, office, condo or apartment cleaning job, Housekeeper.com can help you find a great housekeeping job in the Watsonville area.